Snack Girl has had a free subscription to Weight Watchers for a couple of months now, and she is ready to tell her story. I am contemplating rejoining Weight Watchers but hesitate because of many reasons. I am 74 years old and weigh 132 pounds. I would like to lose about 10 pounds. How many points would I be allowed if I joined this new program and do you think it would be helpful for such a small amount of weight? Thanks for any help. He/she didn't give me a name so let's call her Sadie. Sadie, I wish I knew what to tell you. My thinking is that if you think it will help (and it won't ruin you financially) you should just give it a try. It certainly can't hurt. Losing a small amount of weight does seem to be tricker than losing a large amount. The emphasis on fruits and vegetables - most are FREE so you don't have to count them. The meetings where you commiserate with your fellow dieters. The recipes on the website are healthy, easy, and delicious. Every week, people who lost weight share their success in the meeting. My favorite quote from a meeting - "I lost weight because I am eating more fruits and vegetables." Hallelujah! This is seriously a win/win. You get healthier and lose weight at the same time. Ummm, hurray! So, now, your son is starting to get on the healthy snack bandwagon (and he doesn't even know it). Now, I have to talk about what I didn't like about the program. I think that the level of support for a struggling individual isn't very high. The meetings are full of positive energy and ideas - but they lack weekly reflection on the negative. Perhaps, I am expecting too much from a program that costs $10 per week. For your money, you get A LOT of information and resources, but there is no personal touch. I guess I would have liked to have a "sponsor" like in Alcoholics Anonymous. Someone, you could relate to - and help you when you fall off track. This idea is more of a "non-profit" idea then something that WW could implement. There is a "program leader", but she has many people that want to talk to her. I found her answers to my questions rather, well, short. I think this program works the best for people who have a good friend who is following it with them. Also, I believe WW blames the individual too much when it doesn't work for them. Maybe that person did everything right, and still didn't lose weight? No program is going to work for 100% of the people who try it. I DID lose weight on WW, and I found that the insight I gained from doing it invaluable. I learned that I need to snack less often, and drink less beer if I want to be thinner. I quit the program because I absolutely hate food journalling - which is my problem not WW's. Overall, I think it is a fantastic program to try and see what you can learn from it. I am eating more fruits and vegetables as a result - and about 4 pounds lighter. 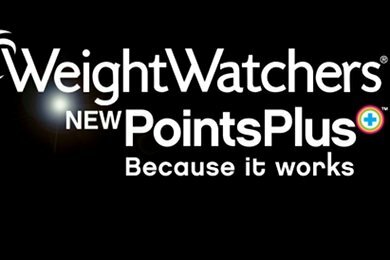 Please share your thoughts on Weight Watchers PointsPlus. This program was received for review consideration. No other compensation was provided. Snack Girl's Top Healthy Snacks - Birthday Celebration! @mandysueva - Thank you for this comment. I do believe that it works for most - and I have also heard from some that PointsPlus is a bit slower than the old program. My thinking is that the weight loss is more sustainable than before. Perhaps it takes longer but it is easier to keep off. I switched to sparkpeople.com a few months ago. I think it has a few advantages - 1. Better support system. I can go online anytime of day when having an issue and find someone to commiserate. 2. It's FREE 3. The tools to journal your food are much more user friendly 4. The teams are great because instead of being in a group of geographically related people, you can surround yourself with people who have similar weight loss/lifestyle goals. 5. Better mobile apps 6. Much more lifestyle change oriented. I rarely feel like I am dieting. 7. The ability to journal and track goals outside of weight loss. I joined Weight Watchers after your first post on it this year. Your explanation made too much sense to me and since March 6th, I'm down 14.8 pounds. I will say it's the first time the food journaling has worked. In fact those days when I'm not totally healthy I make sure I log everything even if I give it on paper '1 point' because then if I feel defeated I can look on line and see the journal and own up to it. I also don't like their snacks... too processed for my tastes.. so I stick with the fruits it makes life a lot easier. I've failed a lot of times on weight watchers before .. and who knows I may still fail but I'm not worried about it. I'm taking a positive step toward my health and if that positive step means I need to get up early on a sunday morning and step on someone else's scale (that makes me 5 lbs heavier than my own scale) .. So be it. Owning up to someone else is the healthy step I need to take right now. Hopefully one day owning up to myself will be all I need. Since I use the online tools for tracking, I can look at things from a longer perspective; and my wl has been the same from Sept-Dec (old program) and Jan-now (new program). In my meetings, the people who really struggle with slower WL on the new program are those who really focus on FRUITS being free and load up on them - and forget uh, veggies are mostly free too. And also forget that you have to eat *other* things. I think that "personal touch" really depends quite a bit on the meeting and the leader. My leader remembers my name after just eight weeks (two of which she was gone on vacation. and i NEVER wear my name tag! ), remembers what comments or questions i've had from week to week, and i've never felt short changed when it comes to needing to speak with her about what's going on with me personally. We also have a really great group at my meeting, too, so when someone asks a question EVERYONE, not just the leader, gets to chime in with their great suggestions and I find that incredibly helpful. In those 8 weeks, I've lost just under 22 pounds. I have done WW many times before, but this time I was "hungry" (pardon the expression) for someone to inject some positivity and community into what can often be a kind of lonely and frustrating process, and this time that's what I feel like I'm getting. I didn't mean to come across like I was bashing WW. I still tell people to use WW. We all need to be healthy and we should all use the tool that works best for us. WW just stopped working for me - I plateau'd and could not find a healthy way around the plateau (like not going under 1200 calories per day), even though my plateau was more than 10 lbs above my pre-pregnancy weight. The mobile app for WW, which I needed for the change to PP, constantly crashed on my phone, meaning I couldn't use it to check points on items while I was shopping for groceries. I will say that the recipe builder on the WW site is a bit more user friendly. I am a bit of a control freak, LOL..so the sparkpeople interface works best for me. There was a time in my life (pre-motherhood) where I was more of a free spirit and during that time, WW worked EXCELLENTLY as points were definitely so much better than calories during that time. I have lost 24 pounds since mid February on WW Points Plus. I love it. It is super easy and with Snack Girls recipes and WWs recipes I am always eating new and exciting foods! It has helped me big time with my portions too. I recently went on vacation and I actually lost weight on vacation because I wasn't pigging out anymore! I am on my 9th week with the program and I have lot 12 pounds. What I like: eating REAL food, room to eat something "bad" (like a Cabury Creme Egg or a Chickfila Sandwich) when the craving hits, the meetings are okay, I have 4 other friends and my husband doing this so that helps, and I love the online support of Snack Girl and Hungry Girl. Oh, the ww e-tools are fabulous! I love tracking and planning what I eat online. I love the recipe builder, too. And because I am a charts person I love seeing the weight chart and keeping track of my measurements. That is worth the price of ww to me! I am eating much healthier and my husband is losing weight, too, around 15 pounds or so. (We are in our 40's.) We are exercising more and experimenting with new foods. When he left for work this morning I told him to prepare himself for a new veggie tonight - roasted purple cauliflower. He made a face, but even though we joke about the veggies, I think that we really are enjoying food more than ever. I've been very happy with WW Points Plus. I can eat anything I want. What's been successful for me is the tracking. I do it online, so it's an easy click. I've lost 16.6lbs in 8 weeks and have felt great. I joined WW online last November after seeing great results in my daughter and her husband. My HMO offers a discount, so it costs about $17 a month. All online, no meetings. Good tracking tools. There's a community board for support, but I don't use it. I've lost an average of 1.5 pounds a week. I compete with no one but myself, I've tried new recipes, I have more energy now. I'm getting tired of tracking, but there is also a Simply Filling program, where you eat only foods on WW's list, which I plan to try soon. I like myfitnesspal.com (and the free app). It's free and is really easy to use. Same concept as WW, to stick to your set calories/day even with working out (eating back what you burn) and losing 1 lb/week. Thanks HauteMomNC for the sparkpeople.com info - the cost factor really is important in some situations. I'm going to check it out! I love the free Lose It app I use on my iPod Touch. I'm guessing it's the same concept as myfitnesspal or any others, you tell it how old you are, how much you weigh, your goal, how fast you want to get to your goal, if you're male/female, etc. You get a daily calorie allotment, which you can increase by exercising. I love it! I started WW Dec 28/10 and have lost 22.5lbs and 22 inches, mostly because I see a trainer once a week and go to the gym. At the beginning I attending a couple of meetings but none since, I really didn't find them helpful at all. I really like the tracker and figuring out what pts are for what foods and what I am gonna eat. But I agree about the support, I thought there would be more one on one but you kinda are on your own. Its working for me, better since I can ask my trainer who has just rejoined after having a baby. I've been on WW for 3 weeks now and have lost 7.3 lbs. I pre-paid for 3 months of their on-line program (there was no way I could handle meetings) to force me to do it. I do like the idea of the new program and never would of joined the old one due to their emphasis (my perception) on processed foods and artificial sweeteners. I joined because I knew I was bs'ing my self about what I was eating and wanted to be held accountable. I don't know if I will last past the three months because I am a "buck the system" kind of gal, it's time consuming and quite frankly, I know what I need to do to be healthy. I do appreciate what they are trying to do though. I love WW. I joined 9 weeks ago and have lost a total of 12 pounds. I gained weight twice or I would've lost more and I know why I gained, it was totally my fault. I like the meetings myself. I tried doing WW online but there was no one to hold me accountable so I didn't do well at all. Now I know that I have to face my leader and my friends when I weigh in on Tuesdays and that makes me want to work harder to lose the weight. I've tried every diet known to man and WW is the only one that has ever worked for me. I constantly find myself wondering how many points are in food, I shop for healthier foods, cook more, and no longer crave fast food. I now get sick even thinking I'm going to have to eat at a fast food restaurant. And let me tell you, if you look in the Dining Out book and see the points of some of the restaurant foods, it will definitely give you a different prospective. I am a WW online user only and to be honest i have a great support system from the other online users. The message boaards serve the same purpose as a sponsor would. I have lost a little over 25 pounds since starting in Feb and plan to be a lifetime member.